One of the most useful sources for finding the Irish place of origin for Irish immigrants in the U.S. and Canada in the 1840s is newspaper reports about Repeal Associations. My previous post about Repeal Associations in Prince Edward Island, Canada, explains what they were. 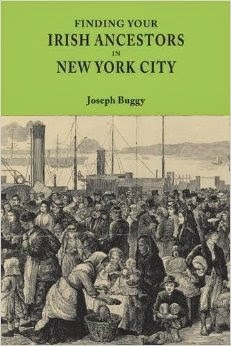 Toronto, like other North American towns and cities, saw the establishment of a Repeal Association by Irish immigrants. The Toronto Mirror newspaper carried an article in 1844 about the activities of the organization and provided the names and Irish counties of origin of its members. These names were compiled in an article in Families, the journal of the Ontario Genealogical Society. Consult 'Nominal List of Repealers from the Toronto Mirror 2 February 1844' in the June 1997 (Vol. 36, No. 2, pp.111-116) edition to read the article.